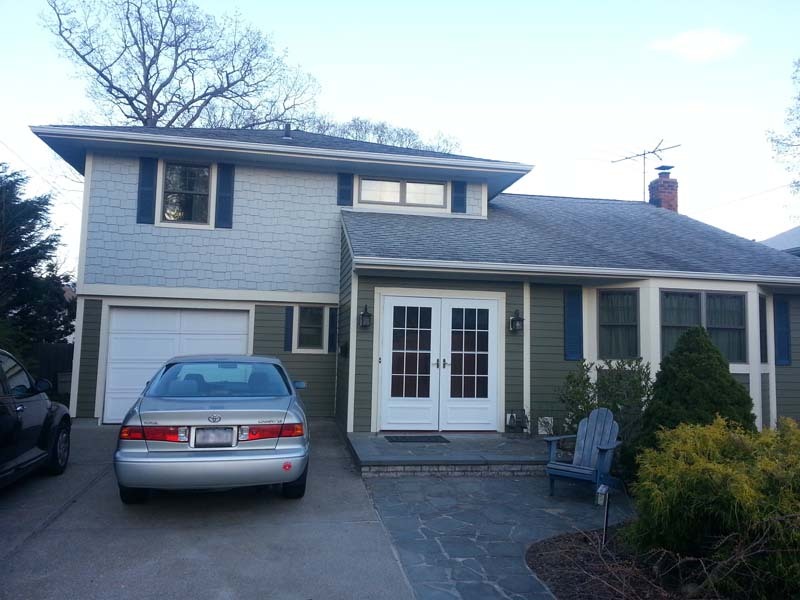 When we first saw this home in Bellmore, NY, the exterior had outdated white flagstones over a masonry scratch coat. 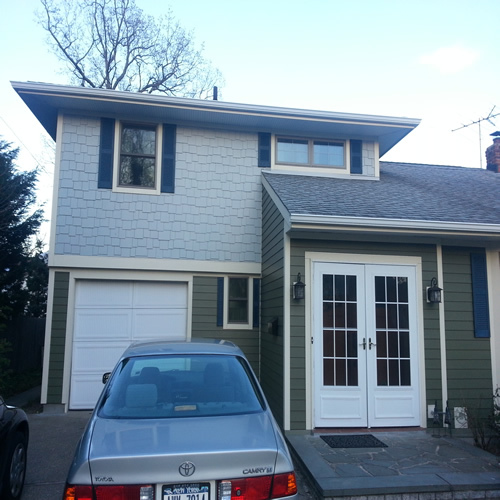 Once removed we made the necessary repairs to the structure. 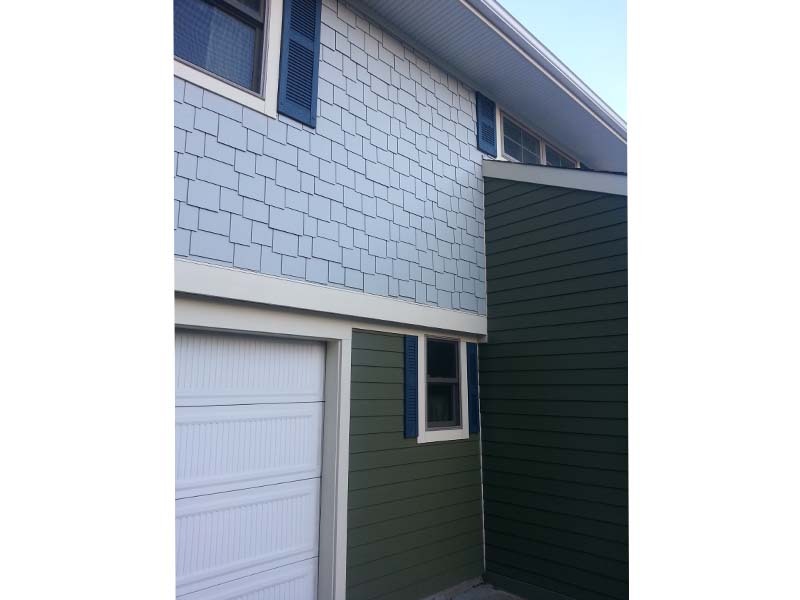 The customers had a specific vision of color and design, therefore we recommended using James Hardie products. 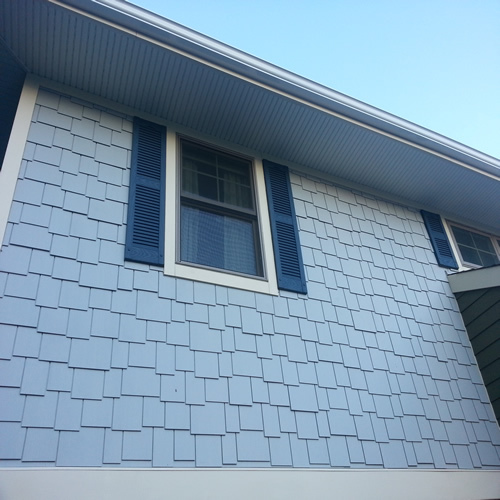 By using James Hardie shingles and vertical siding we created this one of a kind look for their split level. 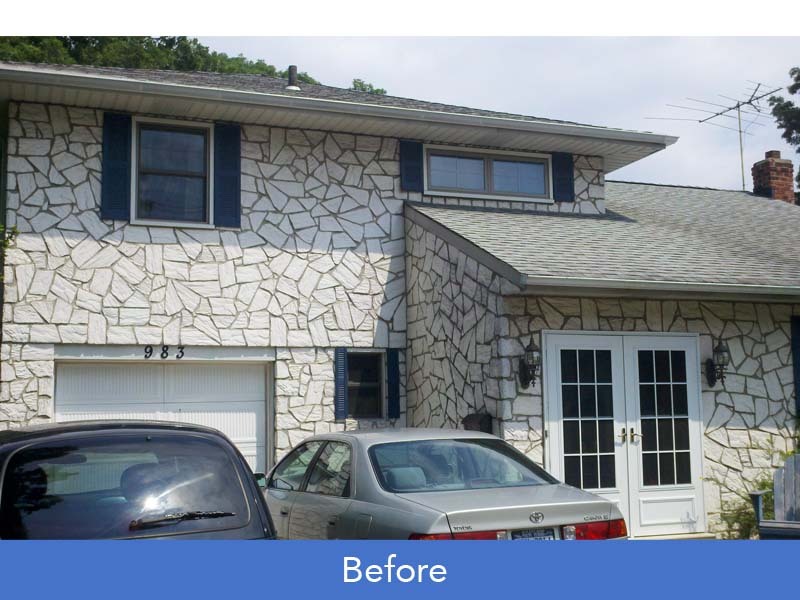 The clients were extremely happy because James Hardie also offers ColorPlus Technology which not only has a wide variety of colors, but it will also make these colors last. 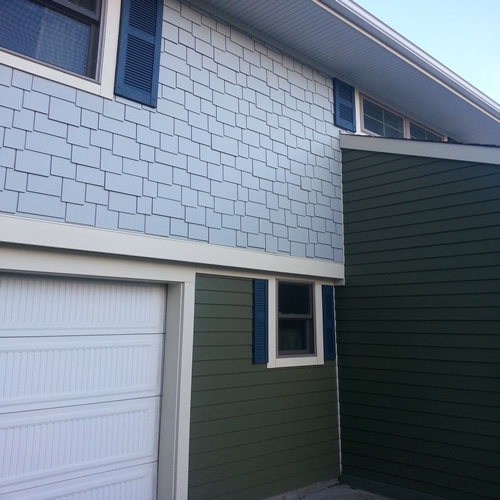 Check out the photos below to see how Good Guys Contracting and James Hardie Siding improved the look of this home.